Although frequently underdiagnosed, vein disease is extremely prevalent in our society. 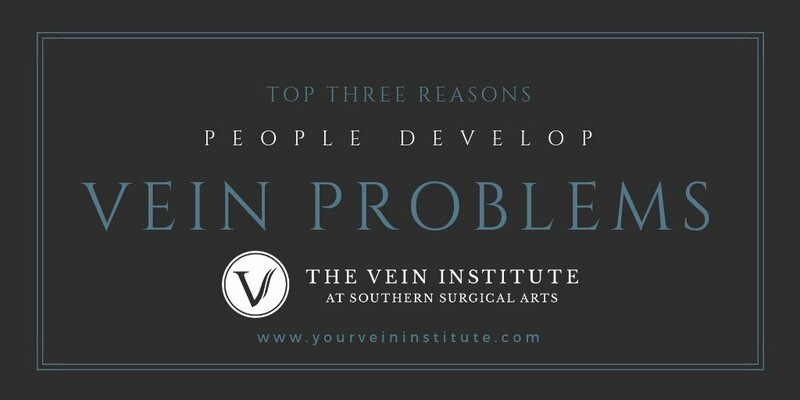 There are numerous reasons patients may develop vein problems, but there are three reasons that are the most common. Keep reading to learn more about these causes and see if you might be at risk of developing venous disease. 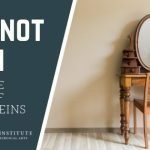 Most people can point to mom, dad, or grandma and know where they got their vein problems. If you have one parent with vein disease, you have approximately a 50% chance of developing vein problems. If both of your parents have vein disease, you have approximately a 90% chance of developing vein disease. But even if neither of your parents has vein disease, you still have a 20% chance of developing issues with your veins. Specifically, the hormone progesterone is the main culprit in the development of a venous disease. Progesterone does many things, one of which is dilating smooth muscles such as the ones in the walls of veins. This is why we see more women affected by vein disease than men. We estimate that roughly 2/3 of women have vein disease compared to 1/3 of men who suffer from vein disease. This is also why women will tell you that they experience more issues with their veins when they are on their menstrual cycle. Specifically, they tend to notice more leg symptoms, such as aching, tiredness, swelling, restlessness, etc. This is also why women tend to notice more problems with their veins with successive pregnancies. The third most common cause of venous disease is the natural aging process. As our bodies age, we lose collagen and the elastin in our tissues weakens. As the elastin in our veins weakens, this can lead to valves that fail, giving way to dilated veins. Many people will have vein disease with all three of these issues as contributing factors. People typically haven’t done anything to cause vein disease—they were just dealt these cards. Genetics is the most common issue and no matter how hard we try, we can’t outrun our genes. The good news is that the modern treatment of venous disease has come a long way over the past ten years. There are more minimally-invasive ways to combat vein problems, with faster recovery times and more beautiful results than ever before. 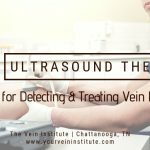 If you are ready to improve your vein health, please give us a call at 423-680-6512. Dr. Vincent Gardner would be happy to discuss your options with you.